Welcome to the world of the deconstructed talk show, where apparently every traditional element is satirized by the titular Eric Andre and his comedic partner-in-crime Hannibal Buress. 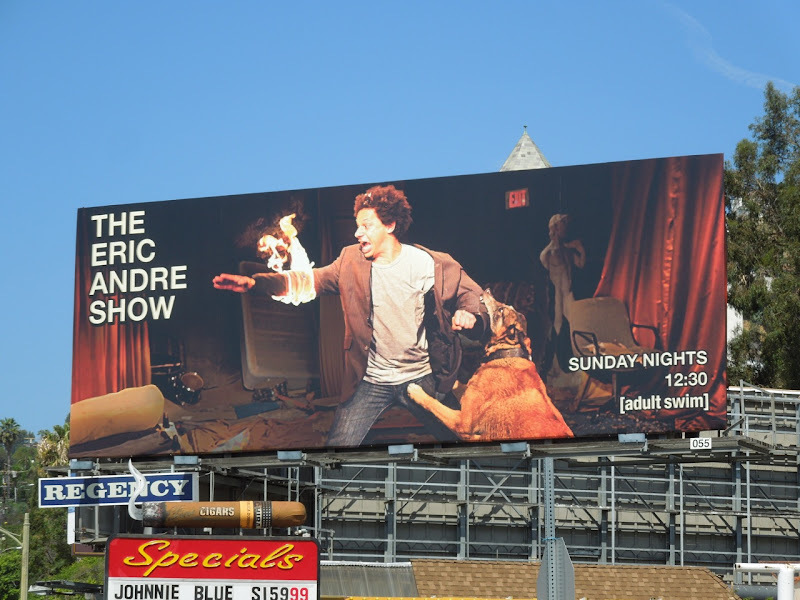 That's the premise for The Eric Andre Show and you'd expect nothing less from the folks at Adult Swim, who've come up with yet another visually arresting ad creative which pretty much says unconventional. 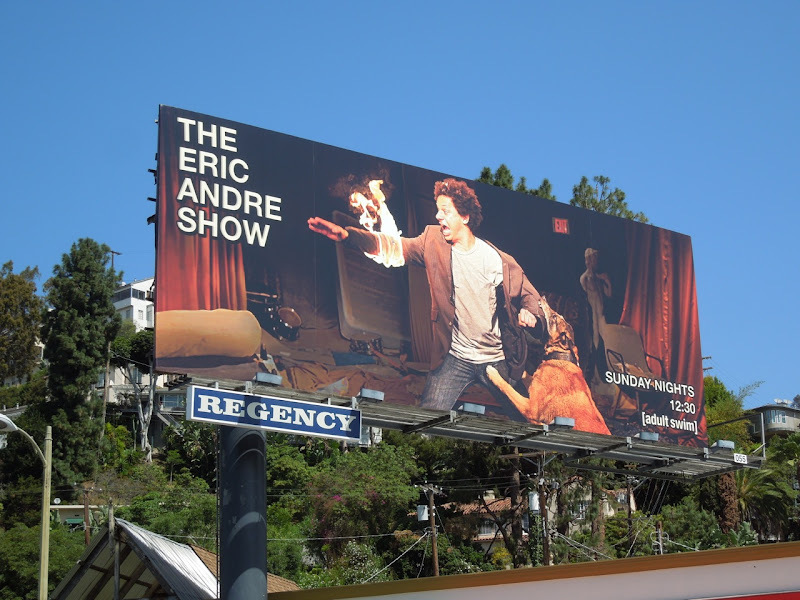 This extremely eye-catching billboard was snapped along Sunset Boulevard on May 22, 2012. 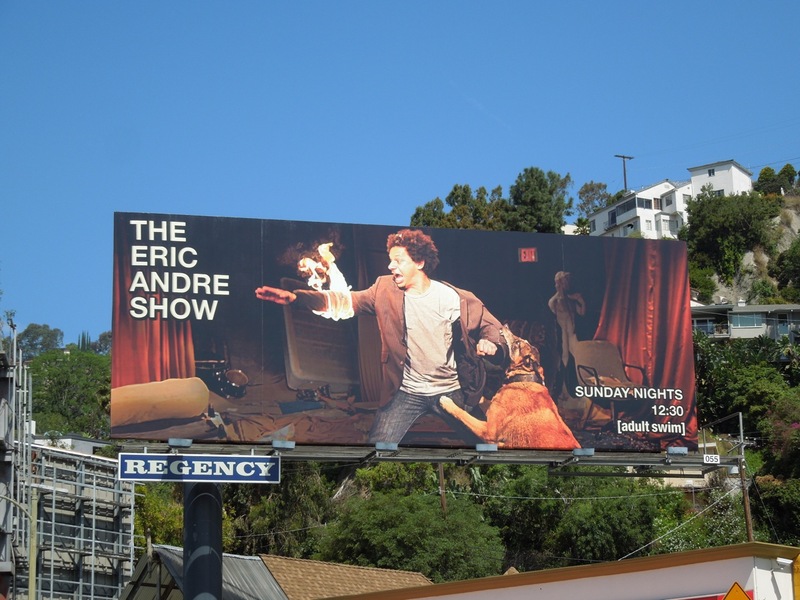 Be sure to also check out the billboard for Don't Trust the B in Apartment 23, the ABC sitcom in which Eric Andre also appears.